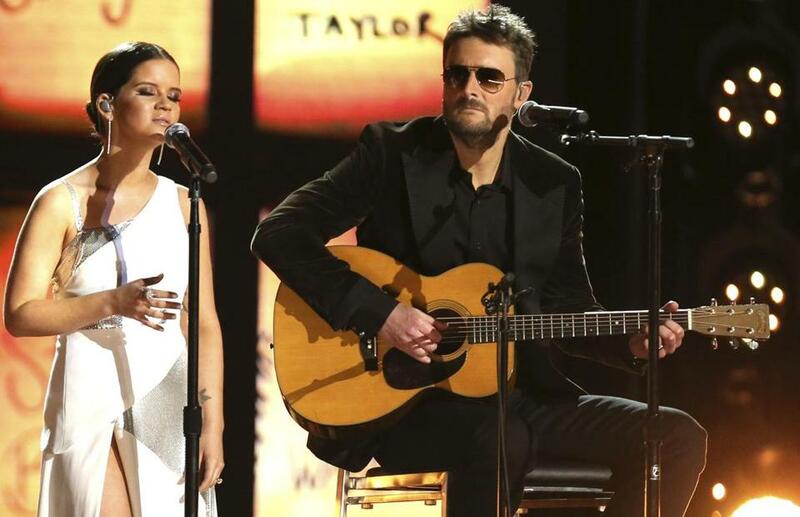 At the Grammy Awards, Maren Morris (left) and Eric Church performed a tribute to those killed in the Las Vegas massacre. 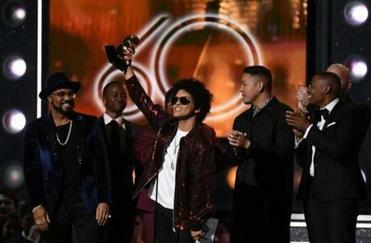 Three artists who performed at a country music festival that became the site of the deadliest mass shooting in modern US history honored those music fans lost at deadly concert attacks with a tearful performance at the Grammy Awards. Country artists Eric Church, Maren Morris, and Brothers Osborne delivered a moving performance of Eric Clapton’s Grammy-winning classic ‘‘Tears in Heaven,’’ during the 60th annual Grammys Awards in New York City on Sunday, the names of victims behind them. ‘‘All of country music was reminded in the most tragic way then connection we share with fans and the loving power that music will always provide,’’ said Church, who seemed to struggle to speak. ‘‘Tears in Heaven,’’ which won three Grammys in 1993 including record and song of the year, was written in 1991, after Clapton’s 4-year-old-son fell out of a high-rise window and died. Lamar and Mars took most of the trophies, but Kesha gave the most cathartic, and resonant, performance. The touching tribute was handled tenderly between singer TJ Osborne’s soulful baritone, Morris’ Texas twang, and Church’s forceful singing, although a bad microphone made much of Morris’ intro before the song unintelligible. ‘‘The painful truth is that this year in just those two events 81 music lovers, just like us, went out to enjoy a night of music and never came back home,’’ Morris said.